Basic information about the Thomas G. Carpenter Library. 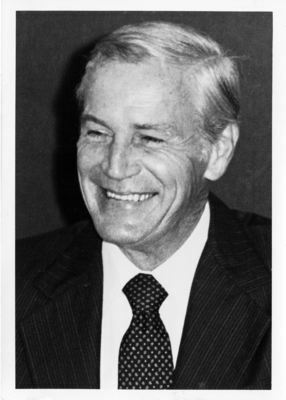 Dr. Thomas G. Carpenter, founding President of the University of North Florida, accepted the challenge of building a new university in 1969. While gathering together a seasoned team of educators and administrators, he also personally directed the physical development of the University of North Florida campus on 1,000 acres of virgin timberland. In October 1972, the University opened to the charter class of 2,000 students. Dr. Carpenter earned his B.A. degree in business from Memphis State University in 1949 and his M.A. in economics from Baylor University in 1950. Coming to Florida in 1954, Dr. Carpenter enrolled in the doctoral program at the University of Florida, earning his Ph.D. in economics in 1963. Dr. Carpenter began his educational career in 1957 with an appointment as an economics instructor at the University of Florida. He subsequently accepted appointments at Florida Atlantic University and the University of West Florida. After 11 years as President of the University of North Florida and with the University firmly established, Dr. Carpenter decided to return to his alma mater, Memphis State University, as its President. He remained there until 1991 when he retired with his wife, Oneida, to Blowing Rock, N.C. While supervising and coordinating the development of academic programs and an expanding campus, Dr. Carpenter instilled in UNF's faculty and staff a strong sense of community involvement by personal example. He served on numerous community agencies and other boards and encouraged members of the University community to be similarly involved. A devout believer in the necessity of a strong university library as a cornerstone in the educational process, Dr. Carpenter was an advocate of the UNF Library and saw it develop during his tenure into one of the finest to be found within the Florida State University System (SUS), the state, and the region. Because of his long and faithful service to the state of Florida and the SUS, it is both fitting and proper that the University of North Florida Library bear the name of Thomas G. Carpenter.